Tell us about your life outside MAW? e.g.hobbies / family / where are you from? Outside of my job at Aveda, I like to spend quality time with my family. I go to the gym most mornings to keep fit and like to read up on subjects I’m interested in like Yoga, anatomy, beauty hacks, Buddhism, healing, stones and crystals. I’m very envious that Guildford has a studio with classes I’d be up there all the time doing yoga if I was there! What’s your job title at Mary Ann Weeks Aveda? My job title is Aveda Therapist, but would like learn as much as possible and go further than that! I’m quite ambitious! Describe in a few words what you do? I work upstairs in the spa at Walton as a Beauty therapist, so that means performing most treatments. My passion is skincare and working to produce the results I know my clients want. When they see the great results it really makes me happy! My ultimate favourite overall would have to be massage. It is just so beneficial on so many levels and watching someone transform from a stressed out, uptight being to one that’s smiling and happy is just pure joy for me. I’ve been with Aveda since 3rd Sept 17 and it’s flown by! What are your favourite things about working with Aveda? I love working at Aveda, and love all the natural products and the fact they are cruelty free and smell divine. The beauty rooms are so peaceful adorned with Buddhas which I love too. I just knew I had to work here a year before I got the job. I kept going back to ask for a job until then took me on – I never gave up – it’s not my style! 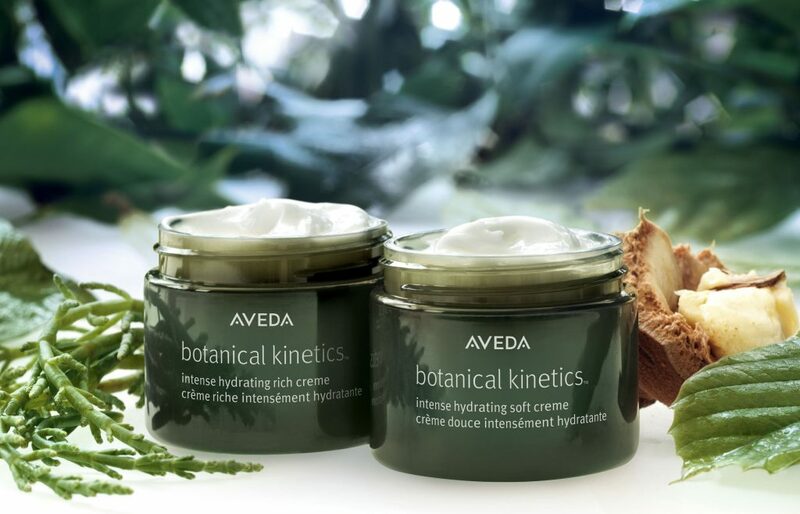 Whats your ‘go to’ Aveda product and why? My professional go to product would have to be the plant peel, it gives a deep cleanse, and the skin is simply glowing and radiant afterwards. Again it smells amazing! My retail product would have to be Botanical Hydrating Treatment Lotion, it’s like a drink for the skin – giving the skin all the moisture back that it needs, especially this time of year. It smells amazing (of course!) and a little goes a long way which means it’s great value for money too. If you could nominate anyone at MAW Aveda for an award for something what would the award be and who for? If I could nominate anyone, it would have to be Sarah Jane Dean on hair. She’s amazing and so knowledgeable. I’d trust her implicitly with mine. Watching her work is inspirational because she has quite literally perfected her craft. What do you use on your own skin? I do use Aveda products on my skin because I genuinely love them and they work! I use pretty much the whole Botanical kinetics range including Creme cleanser, exfoliant, hydrating treatment lotion, radiant Skin refiner and energising eye creme! To relax I love the stressfix salts in my bath and then drop stressfix oil on to my wrists – it’s lush! I’m also a fan of essential oils so I have the Aveda lavender and tangerine oils which I use at home in my defuser as well as drops on my pressure points. The Aveda chakra sprays are literally gorgeous and I have numbers 3 and 7 too which I can use for anything from perfume to room spray! The smells are just amazing and I love that they’re all natural and organic. What’s your top beauty hack? Top beauty tips would just be to cleanse, tone and moisturise twice a day, adding a mask once a week and taking care of your skin with the correct products for your skin type. How do you like to relax after a busy day at the spa? Thank you for letting us get to know you Jade! Give us a call on 01932 240856 and book yourself in with Jade when you’re next in need of a beauty, massage or maintenance treatment, she would love to help you feel amazing with her excellent skills!